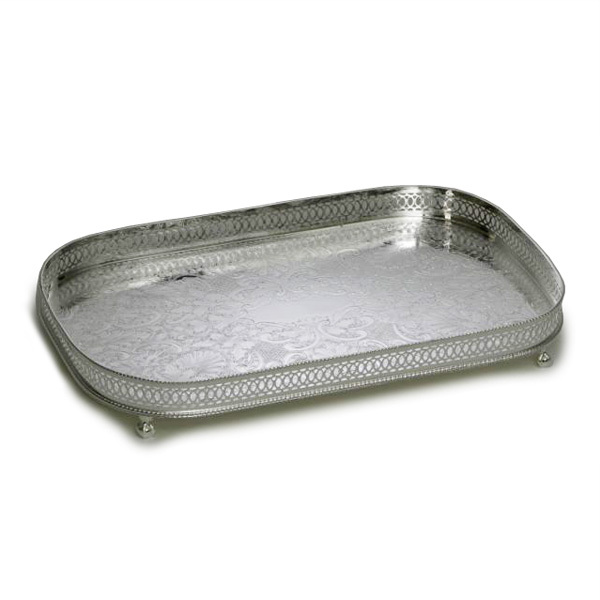 Classic example of a rectangular silver plated tray that would suit any home. Featuring an ornate gallery and classic style ball and claw feet. This would be a great piece for someone who enjoys entertaining at home.